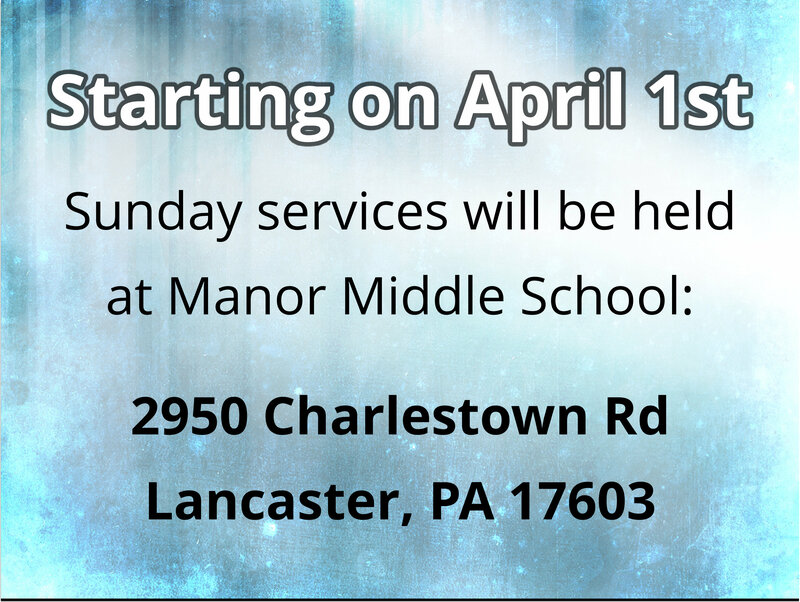 This past Sunday, we announced that we will be moving our Sunday morning services from Penn Manor High School to Manor Middle School. This change will start on Sunday, April 1st (no, this is NOT an April fools joke!!). When we met at Manor Middle School in February, our elders and staff had discussions about whether or not it would be good to meet there instead of Penn Manor High School. There are many pros: easier setup and tear down, kids’ rooms closer and more accessible, better meeting room, and more. As we weighed this out, we felt like it was worth checking to see if it was available. It is available, and since our contract with Penn Manor was up at the end of March, instead of renewing to meet there, we will be meeting at Manor Middle. We’re excited about this change!